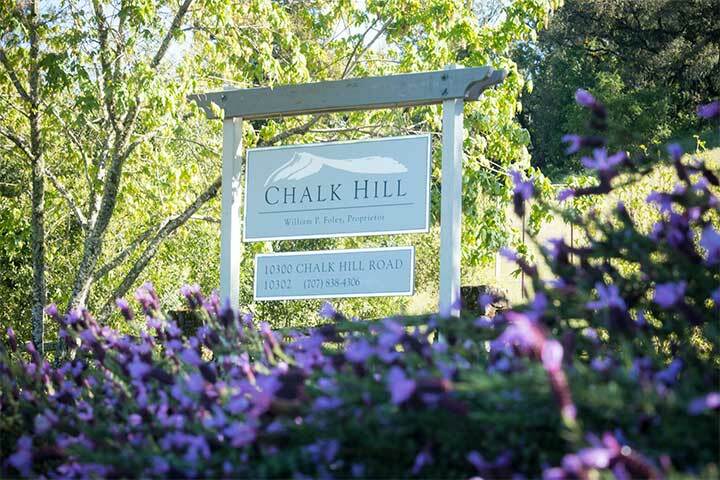 Perhaps no other winery captures the casual luxury of Sonoma County better than Chalk Hill Estate. Founded nearly four decades ago, this spectacular 1300-acre property features 300 acres of vineyards, wilderness areas, winery, hospitality center, culinary garden, residence, stables, equestrian pavilion, sports fields, fishing and swimming ponds, and guest houses. The winery's vineyards are thoughtfully woven through the native foliage and contoured to fit the intricate terrain. More than two-thirds of the Chalk Hill Estate remains uncultivated. The higher elevations offer stunning views of the Russian River Valley to the west and the Mayacamas Mountains to the east.